Open your browser and log in to Zoho Mail. 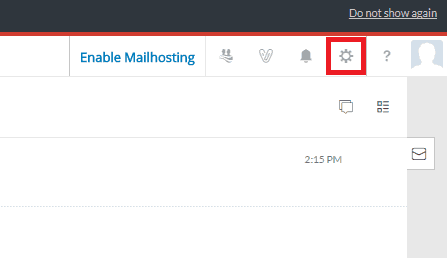 On the top right, click on the Settings cog. 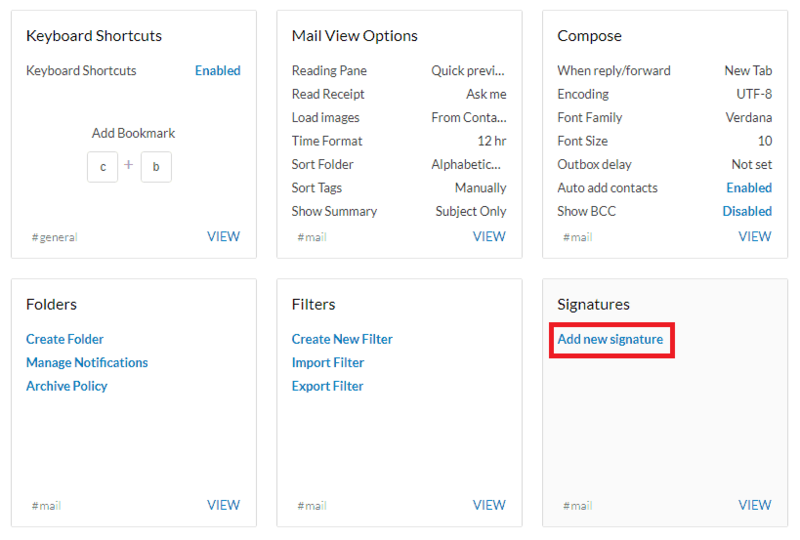 Under the Signatures heading, click on the “Add new signature” button. 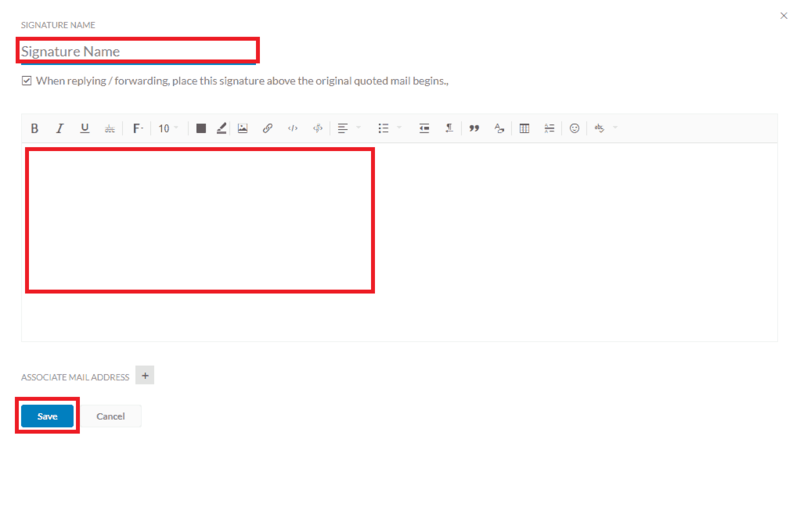 Enter the name of your email signature, this can be anything such as your name. 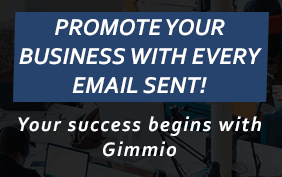 Paste your email signature into the text box below. Once done, click on Save at the bottom.